Fresh skin is always in. 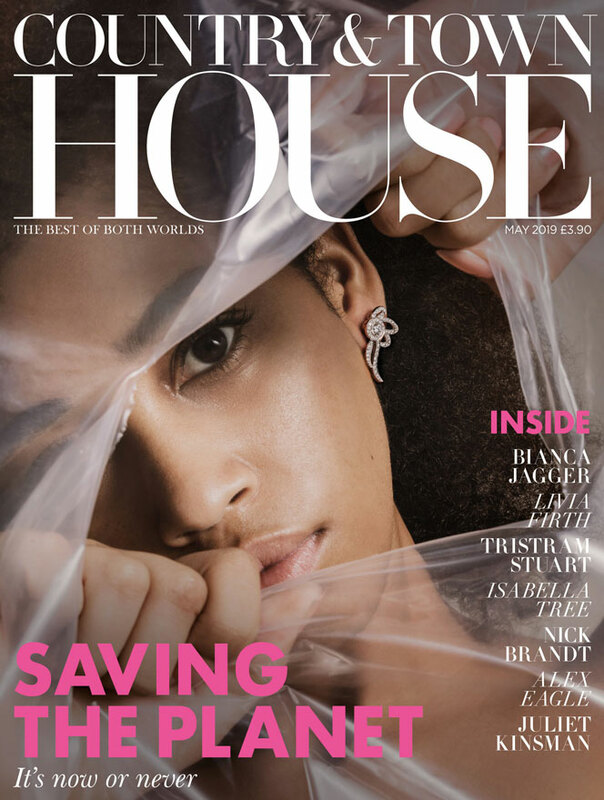 Get Country & Town House’s May issue cover girl Nelida’s look by creating a smooth and glossy complexion and maxing out your glow. To prep her skin, we used Esse Probiotic Skincare, the world’s first live probiotic skincare brand. Both organic and vegan, it actively shapes the skin’s ecosystem as it contains one billion live probiotic microbes per millilitre to boost the skin’s microbiome for maximum anti-ageing and skin health. Spritz Esse Toner Plus onto your skin to give it a burst of hydration and moisture. Pat into your skin using rain-like tapping movements with your fingertips to encourage a circulation boost for a natural rosy glow. Apply Esse Intensity Serum to your skin, massaging in an upward motion for instant skin smoothing. Contains Mafane extract which has the effect of relaxing muscles in a similar way to Botox. Keep skin coverage to a minimum. Use a creamy concealer or retouching fluid, such as Hourglass Veil, to perfect any areas of discolouration or redness. For glossy, hydrated lips, with a sheer berry stain, apply Burt’s Bees Lip Oil in Misted Plum. Apply Davines Silkening Oil Mist to damp hair to treat and restore shine. Suits all hair types and textures from fine to coarse. Spray Davines Definition Mist on dry hair for natural texture and a light hold for ‘undone’ hair while eliminating frizz. Once you use this you won’t know how you survived without it!